Community Health Professionals (CHP) will host its 21st annual Hospice “Beacon of Hope” dinner/auction on Thursday, April 25, starting at 6 p.m., at Willow Bend Country Club. The event features a meal, live and Chinese auction, instead of a silent auction items, with auctioneer Bob Gamble and emcee Dave Roach, general manager at First Family Broadcasting (WERT) and CHP board member. Local businesses — Alexander Bebout Inc. and Purmort Brothers Insurance Agency — will be honored as “Friends of Hospice,” for their continued support of the CHP Hospice program and its events. Dinner tickets are $20 each, with limited seating remaining. For tickets, call 419.238.9223. 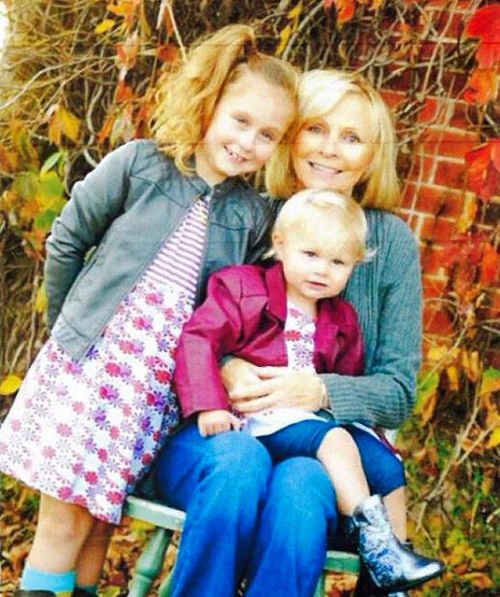 The family of the late Luanne Metzger will present the Beacon of Hope lighthouse to honor Metzger and past CHP Hospice patients and families. Metzger retired after nearly 30 years of service to Eaton Corporation in Van Wert. During her life, she also touched many lives as a teacher’s aide at Thomas Edison, Wee Care Learning Center, as a house manager for the Thomas Edison Residential Home, and as a medical assistant. Metzger was also a member of the American Legion Unit 178 Auxiliary. She was extremely proud of the family she raised, her granddaughters, and the amazing friends that became her extended family. Live and silent auctions will follow dinner and family presentations. Items in this year’s auction include several vacation getaway packages, an autumn trip to the Smokey Mountains (Gatlinburg, Tennessee), sports tickets and memorabilia, passes to regional attractions, a recliner, grill, and much more. 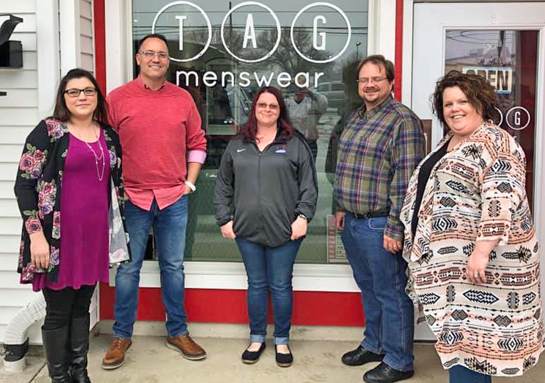 Tim Slusher, owner of TAG Menswear in Van Wert, recently reached out to The Marsh Foundation about making a clothing donation. The men’s clothing presented to The Marsh includes sweaters, dress pants, dress shirts, jackets, t-shirts, and more, and is valued at more than $12,000. To say that The Marsh is grateful is a massive understatement. 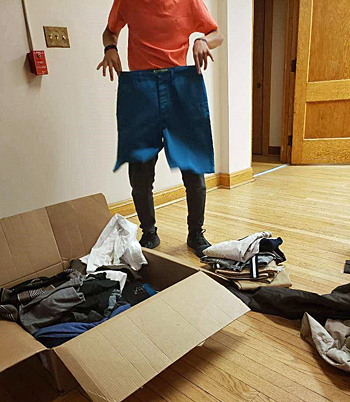 The clothing will be used to help boys in Vance and Marsh Halls on The Marsh campus. These two homes hold 20 boys together. They were very excited to be presented with some new items. 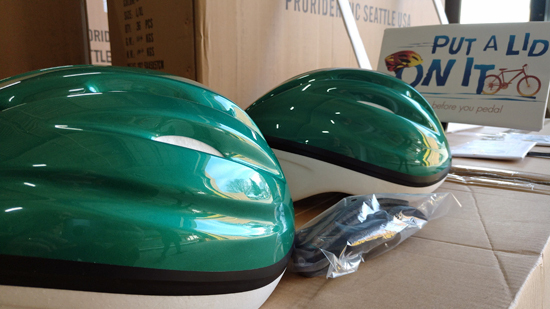 “These are awesome! I feel like I can sleep in this jacket, it’s so comfortable,” said one boy. MacKenzie Basil, program manager at Vance Hall, said that the donation benefits the youths more than just providing them with clothing. The Marsh was proud to accept such a significant donation from a small business in its own community. 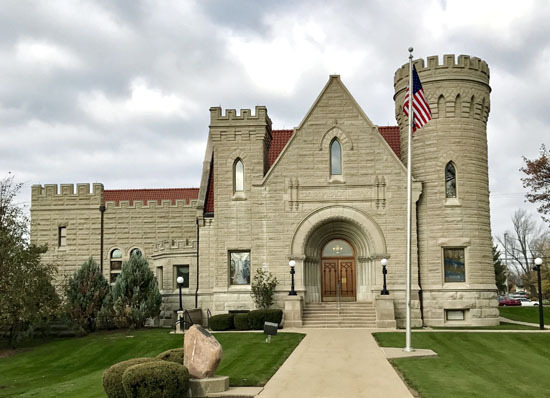 “I think it’s wonderful that many people in this community have notice the important mission of The Marsh Foundation and find it worth donating to help continue that mission,” said Ben Marsee, program manager at Marsh Hall. Oftentimes, youths in care lack self-worth and pride. Marsh Foundation representatives accept a sizeable clothing donation from TAG Menswear. Shown are (from the left) Marsh Program Manager Christy Thees, TAG Menswear owner Tim Slusher, Marsh Program Manager MacKenzie Basil, Marsh consultant Marcus Boatman, and Marsh Director of Residential Services Megan Tuttle. “This generous donation is not only a reflection of how our community cares for our kids, but a direct expression to our youth their value within the community,” said Megan Tuttle, director of residential services. The Marsh Foundation is a not-for-profit children’s services agency that provides services in a variety of settings. Services include group homes, family foster care (ages birth to 17), an intensive treatment program, adoption and independent living services. COLUMBUS — Ohio Governor Mike DeWine announced Ohio’s participation in a new $65.9 million study aimed at reducing the overdose death rate by 40 percent over three years. The HEALing Communities Study is being funded through a partnership initiative by the National Institute on Drug Abuse and the Substance Abuse and Mental Health Services Administration. Working in collaboration with state and local agencies, The Ohio State University and the University of Cincinnati are leading a coalition of universities including Case Western Reserve University, Ohio University, the University of Toledo, and Wright State University, along with Nationwide Children’s Hospital, to test proven prevention and treatment interventions. Ohio is one of five states, hard-hit by the opioid epidemic, that are participating in this study. Nineteen counties were selected at random to participate, including: Allen, Ashtabula, Athens, Brown, Cuyahoga, Darke, Franklin, Guernsey, Greene, Hamilton, Huron, Jefferson, Lucas, Morrow, Ross, Scioto, Stark, Williams, and Wyandot. 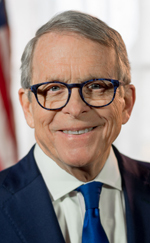 To address the mental health and substance use public health crisis in Ohio, Governor DeWine created the RecoveryOhio initiative to coordinate and improve prevention efforts, increase access to treatment, and support proven recovery supports in the state. The RecoveryOhio Advisory Council recently released its initial report that provides 75 actionable recommendations to better address the public health crisis in Ohio. A change could be coming to the bus policy currently used by Van Wert City Schools. Clifton also told the board that administrators would like to see the number of arrangements limited to two — a primary location and a second alternative on an as-needed basis. A decision could come as soon as next month for the 2019-2020 school year, and Clifton acknowledged it will be controversial. Three people were sentenced to prison terms during hearings held in Van Wert County Common Pleas Court. Randy Parker, 38, of Van Wert, was sentenced to 36 months, with credit for 221 days already served, on a charge of aggravated trafficking in drugs, a felony of the third degree, and 12 months in prison, with credit for 67 days already served, on a vandalism charge, a fifth-degree felony. Both sentences are to run concurrent — at the same time. Clinton Englehart, 28, of Payne, was sentenced to 18 months in prison, with credit for six days already served, on a charge of aggravated trafficking in drugs, a felony of the third degree. He was also ordered to pay restitution totaling $400 to the West Central Ohio Crime Task Force. Stacy Young, 42, of Van Wert, as sentenced to 12 months in prison, with credit for 56 days already served, on a charge of complicity to aggravated trafficking in drugs, a felony of the fourth degree. Three people were also arraigned in Common Pleas Court. Jody Baker, 37, of Van Wert, entered not guilty pleas to one count each of unauthorized use of a motor vehicle and forgery, each a felony of the fifth degree, and one count of passing bad checks, a first-degree misdemeanor. She was released on an unsecured personal surety bond, and will appear for a pretrial conference at 2:30 p.m. Wednesday, May 15. 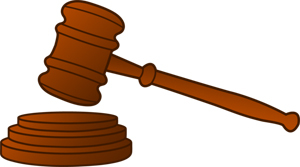 Michelle Sutton, 39, of Willshire, pleaded not guilty to theft, a fifth-degree felony. She was released on a surety bond and will appear for a pretrial conference at 9 a.m. Wednesday, May 1. Danal Parsons, 48, of Van Wert, entered a not guilty plea to one count of aggravated possession of drugs, a felony of the fifth degree. No bond was set, as Parsons is already incarcerated in another county, but a pretrial conference was scheduled for 8 a.m. Wednesday, April 24. COLUMBUS — Ohio Governor Mike DeWine has joined Ohio Department of Health Director Amy Acton, MD, MHP, and Ohio Department of Mental Health and Addiction Services Director Lori Criss to warn parents that vaping is not a safer alternative to smoking for their teens. The governor also called for increasing the age to purchase tobacco and vaping products in Ohio to 21. “E-cigarette marketers are convincing some people that their product is a safer alternative than smoking, and that’s simply not the case,” said Governor DeWine. “With sleek, fun packaging and flavors like ‘candy crush’ and ‘watermelon wave,’ these products are clearly being marketed to kids. “We are seeing an explosive increase in vaping among our youth, and it’s not safe for young people,” said Director Acton. “Most e-cigarettes contain nicotine which is highly addictive and can harm adolescent brain development. “E-cigarette aerosol also can contain other harmful and potentially harmful substances including cancer-causing chemicals, heavy metals like lead and chemical flavorings linked to serious lung disease,’ she added. Open house for viewing the Convoy Community Building will be from 1-2 p.m. April 27, with promenade in the high school auditeria from 6:45-7:45 that evening. The public is invited to attend promenade, with the auditeria doors opening at 6:15 p.m.
After Prom is being held at Villa Lanes bowling alley in Decatur, Indiana, from 11:30 p.m.-1:30 a.m. and is sponsored by Crestview and the Van Wert Optimist Club. Students are asked to arrive at After Prom no later than 11:45 p.m. The Van Wert Service Club announces its 2019 Pancake Day fundraising event to be held Saturday, May 4, in the Van Wert High School commons area. The event will run from 7 a.m. until noon. Along with pancakes and sausage, Arby’s of Van Wert is providing its sausage gravy and biscuits again this year. This year’s event marks the 50th anniversary of this annual event. The original Pancake Day began in 1969 by the Van Wert Sertoma Club and is always the first Saturday of May every year. To make this year’s event a little more special, the service club has invited former members to join in the fun as “guest flippers,” as well as a prize giveaway of a Blackstone grill. Every paid admission is entered in the drawing and people do not need to be present to win. The annual Pancake Day is the first of two fundraising events the club takes great pride in each year. The money raised through fundraising is donated to many worthwhile projects and activities in the Van Wert and surrounding communities. 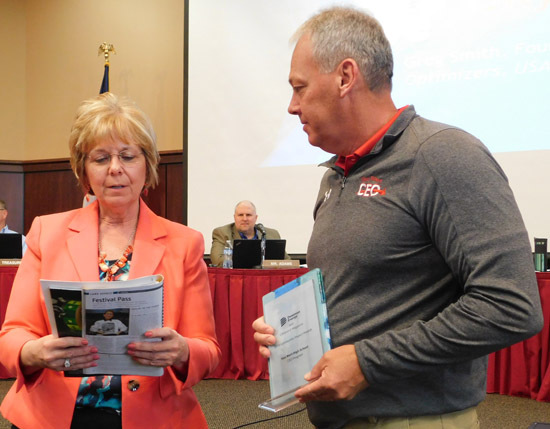 The Service Club finances several countywide speech and hearing projects, including the Thomas Edison Speech & Hearing Center and the Van Wert County Summer Speech program. New in 2018, Van Wert Service Club partnered with Van Wert Optimist Club to fund the Children’s Christmas Garden light display. This Christmas light display has been recognized as one of Ohio’s best in Trails Ohio-Holiday lights in 2018. Both clubs take great pride in the fact that people come to the community from all around Ohio to see the Christmas light display at the Smiley Park Children’s Garden. NACD Stewardship Week is one of the largest national programs to promote natural resource conservation. Celebrated annually since 1955 between the last Sunday in April and the first Sunday in May, NACD Stewardship Week reminds people of their individual responsibilities to care for natural resources. Each spring, NACD and thousands of dedicated conservationists organize a multitude of outreach events and educational learning experiences for students and adults in order to increase awareness about the importance of natural resource conservation. During Stewardship Week, local conservation districts and their state associations educate the public on the importance of soil health, water quality, pollinator habitat and other conservation topics. Different classroom activities, field visits and community events are hosted to honor and recognize efforts in conservation at the local level. During Stewardship Week, Van Wert SWCD will provide a swamp white oak seedling and a presentation on the importance of trees to each fourth grade student in the county and place Soil & Water Stewardship placemats in local restaurants during the weeklong observance.